I recently began using IFTTT recipes on my blog again, and all I can say is that I’ve been missing the much that it has to offer, nonchalantly. The fact that this platform saves a lot of stress makes me wonder why I haven’t been using its potentials. Ifttt is more than just a social media manager but a helper too, especially to bloggers who know how much time it takes to organise themselves or their activities. You need to start using this platform I must say. Automate Activities Between Social media pages with IFTTT. Change Twitter Profile picture Everytime you change your Facebook profile picture. IFTTT is a platform, accessible through web or mobile application that provides series of automated activities for users. IFTTT is an abbreviation of “If This Then That”. You can actually save a lot of time with this platform by making it do quite a number of things for you automatically and consecutively. I use IFTTT to automatically post from my wordpress blog to my Pinterest, twitter and tumblr profiles. With it, I do not have to publish a post then go doing things by myself manually. I also do not bulk up ny wordpress site with more plugins. Amazingly, this great platform is free,at least for now. Ifttt recipes or applets is a combination of service that make up an automation tool. A recipe is largely made up of 2 services (platforms), with the first platform being used to fuel the 2nd platform. As a blogger, I bet you’ll need all the help you can get to assist you reduce work load everyday. Ifttt does just that in a good way as it provides major social media platforms like facebook, twitter, instagram, pinterest, tumblr, linkedin and even more. Apart from automating your blog posts to social media, You can also auto post to your WordPress or blogspot blog from any site so long it has an RSS feed or is one of the selected sites IFTTT makes available. This makes blogging crazily easy because you do almost nothing. Before you begin powering recipes on ifttt, you will need to create a free account on the platform and connect relevant services you own. I have my wordpress blog, facebook, linkedin, twitter, pinterest, tumblr and instagram page connected to ifttt. Without connecting your desired sites, you can not get the platform to work for you. Connecting your site and social profiles to ifttt is very simple and basic. You can do this immediately after sign-up or while you are trying to power up a recipe. Ifttt makes things very easy for users as you can decide to either make use url shorteners it provides or simply have your blog url used instead whenever a link is shared. You can set this up by visiting the ifttt settings page. Also, To begin using this platform, you can decide to visit the ifttt website or use the ifttt app. Starting out on ifttt is super cool because, there are tons of ready made recipes that you can choose from to automate activities in your blog and social media pages. 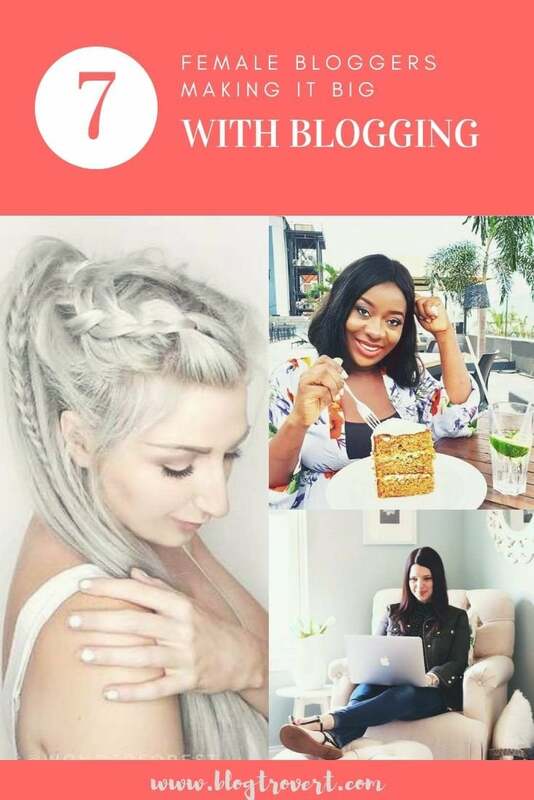 In this post, I will be dishing out a number of recipes created for the most popular social media platforms. I am pretty sure that you will find the about to be mentioned recipes useful. To help you automate your activities, I have compiled a list of helpful ifttt recipes or applets that should come in very handy for you. Do bookmark this page for future purpose and do not forget to share too. I have also made access to each recipe easy with links. Do share to help someone else. Need to post the same pictures you posted on your facebook to a pinterest board? Let these ifttt recipes do it for you. NB: While you can post from Instagram to other platforms, you can not do same for it because there is no functionality for that yet. Earlier this year, 2018, Facebook stopped auto posting to personal profiles. So auto posting to Facebook is only possible with Facebook pages. This recipe comes in handy if you have a Facebook page you manage for your blog or business. While Instagram has this functionality, you probably want it done without having to click on any thing. This recipe triggers and creates a post on your Facebook page whenever you share a new picture on your Instagram page. The ifttt recipes below are similar to the Instagram to Facebook automation, but this time works for twitter pages. This recipe triggers and creates a post on your Twitter page whenever you share a new picture on your Instagram page. This recipe triggers and creates a post on your Twitter page whenever you share a new picture on your Instagram if youinclude a specific hashtag. These recipes are similar to the Instagram to Facebook and twitter automations, but this time works for pinterest pages. This recipe triggers and creates a post on a specified Pinterest board whenever you share a new picture on your Instagram page. This recipe triggers and creates a post on a specified Pinterest board whenever you share a new picture on your Instagram if you include a specific hashtag. (this works for single photos alone). If you are a vlogger, you will find this recipe handy. Ifttt will auto post on your social media page once you successfully upload a new video to your YouTube channel. The about to be mentioned ifttt recipes will trigger whenever you publish a new post on your WordPress blog. • This recipe triggers and shares a new tweet if a new post is published on your WordPress blog/site. • Auto share a new post to your LinkedIn profile whenever you publish a new post. • This recipe triggers and create a photo post on your tumblr site if any new post on your wordpress blog/site. • This ifttt recipe triggers whenever a new post is published on your WordPress blog/site. It automatically post a link, picture and title to a specified Pinterest board. • This recipe triggers whenever a new post with a specific category or tag is published on your WordPress blog/site. It automatically post a link, picture and title to a specified Pinterest board. There is so much ifttt can do for you. Besides, the few recipes I have mentioned above aren’t all that the platform have to offer. There are more that I wish you can come by, that is if you do not just read this post and shove it under your carpet.